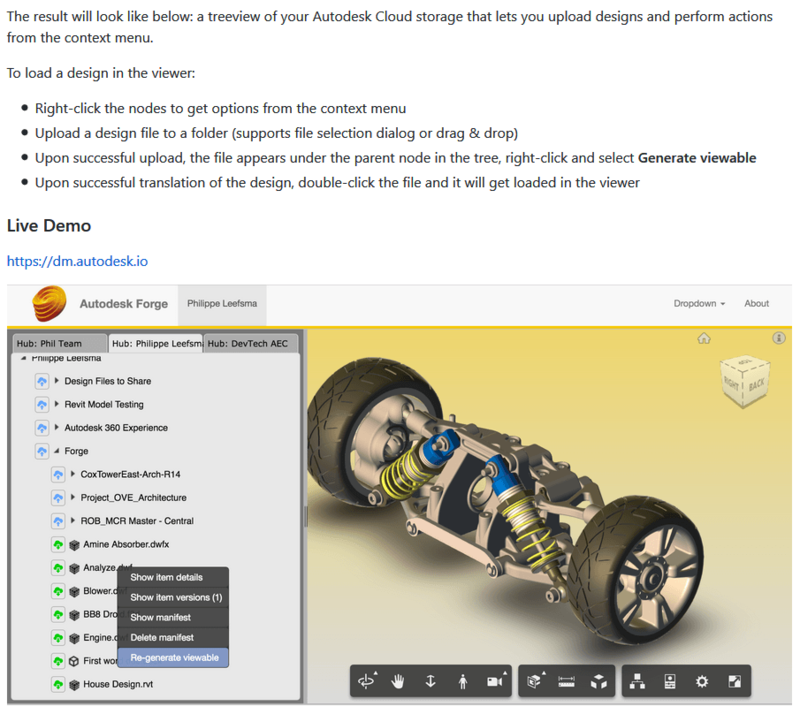 As you probably know, Forge is kind of like Autodesk’s way of opening up a model API for anything and anybody to connect to (over-simplified description, I know). If you do want to start playing with Forge, Philippe Leefsma has put together a whole lot of boilerplate code that you can deploy on Heroku. He has shared a collection of node.js-based boiler projects for the Autodesk Forge Web Services APIs.